In his new book, Season the Preaching, Paul Canon Harris provides sermon outlines and reflectionson the gospel and other readings in the three-year lectionary cycle. He writes preacher to preacher,giving an outline, insights and illustrations for others to use in their own preparation. Drawing on over 30 years' experience of preaching in settings as diverse as large Christian eventsand under a baobab tree in Africa, Paul provides in Season the Preaching what preachers, groupleaders and students through the centuries have been crying out for: a helping hand in communicatingGod's message. Paul Canon Harris is an Anglican priest, writer and poet. He has trained and encouraged manyyounger preachers in the UK and abroad and is a regular contributor to BBC Radio 2's Pause forThought and other radio stations. He is a Canon Emeritus of Gloucester Cathedral. 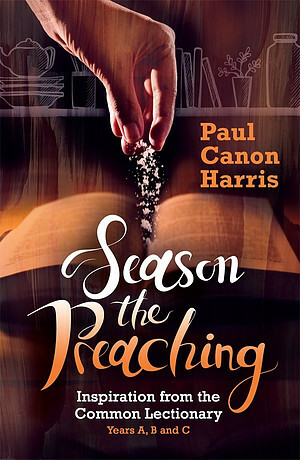 Season the Preaching by Paul Canon Harris was published by Kevin Mayhew in November 2017 and is our 28228th best seller. The ISBN for Season the Preaching is 9781848679313. Be the first to review Season the Preaching! Got a question? No problem! Just click here to ask us about Season the Preaching.